Aaron Bedra is the CTO and Chief Scientist at Jemurai, where he works at the intersection of software, security, and business. He has served as a Chief Security Officer, Chief Technology Officer, and Principal Engineer/Architect. He has worked professionally on programming languages, most notably Clojure and ClojureScript. Aaron is the creator of Repsheet, an open source threat intelligence toolkit. He is the co-author of Programming Clojure, 2nd and 3rd Edition and a contributor to Functional Programming: A PragPub Anthology. Aaron Bedra will talk on some of the security issues that all CTOs need to be aware of. Are you using or moving to AWS? Have you considered how you organize and secure your AWS environments? The growing push to cloud providers has allowed us to move faster and tackle problems more efficiently. The same freedoms that have allowed us to move faster have also created scenarios where security issues are exposed by accident and/or without proper management and review. As companies move toward more and more cloud usage, teams are pushed harder to ensure the same compliance and security requirements that exist in slower moving private environments. This has the potential to put us right back where we came from. 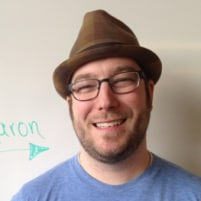 Join Aaron in this in-depth workshop and work through the most critical security decisions you can make for your AWS environments. Identify issues and solutions in an automation friendly fashion that aim to fit seamlessly into the development and deployment lifecycle. Join Aaron as he talks through the most critical security decisions you can make for you AWS environments.